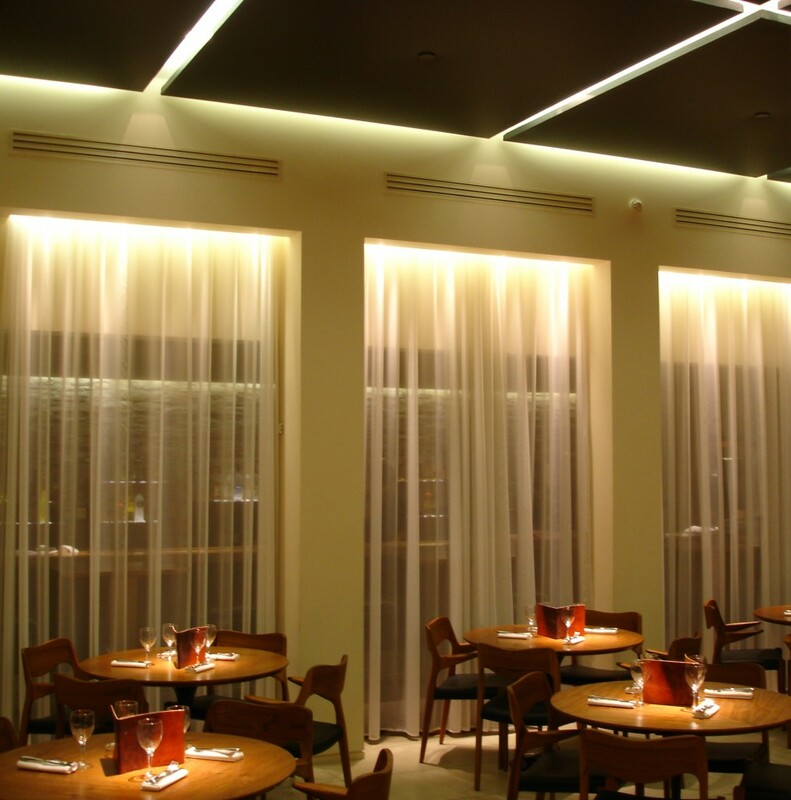 Into were appointed to work with United Designers to create a lighting scheme that would provide suitable ambient light levels to the windowless basement restaurant, and would adjust from breakfast through to evening dining. The brief also required accent lighting throughout to create a sense of drama. 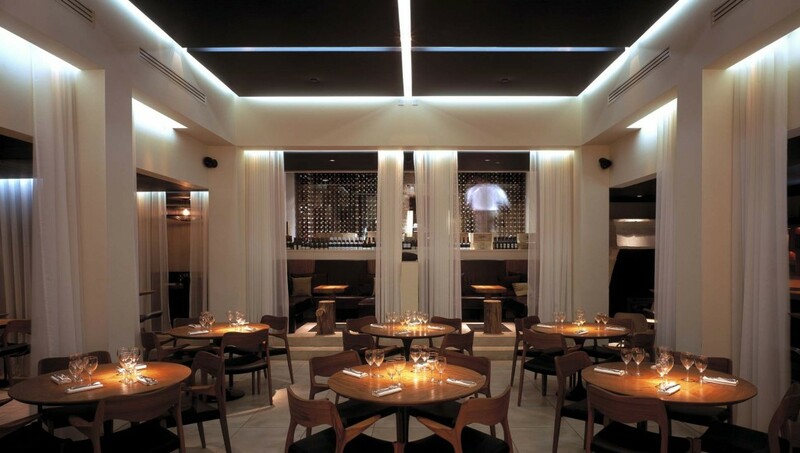 Into developed an ambient lighting scheme using dimmable cold cathode light sources within concealed ceiling details, which wash light down pale coloured voiles. 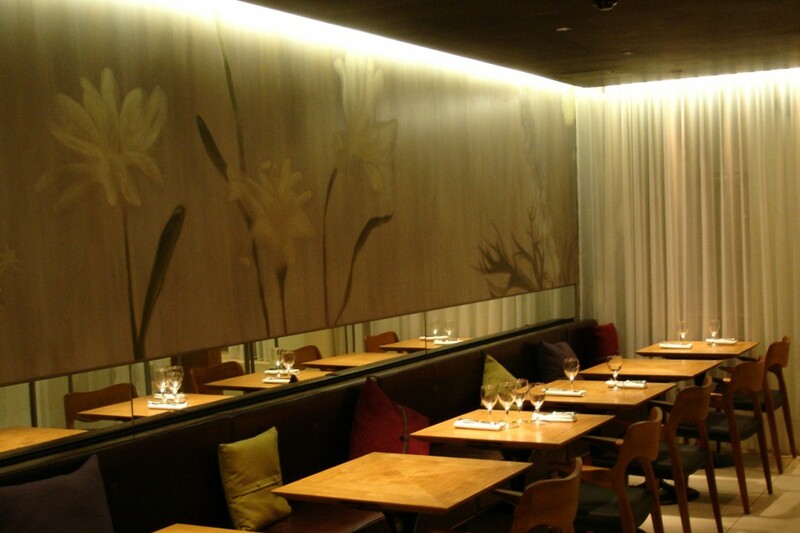 Accent lighting to tables is provided by low-glare halogen downlights. 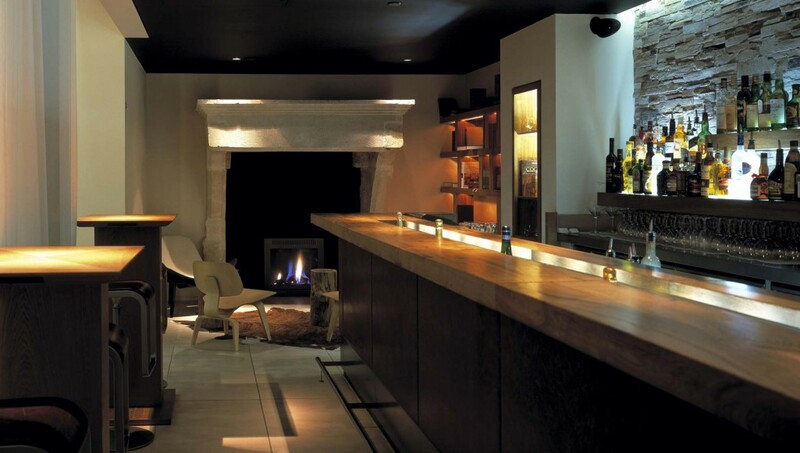 Le Cercle was one of the first flagship restaurants in London to successfully encourage diners to enjoy fine dining from breakfast to dinner, in a basement venue. The lighting plays a major part in creating the environment for this success.